Kiran Gandhi let us take a look at her studio in L.A.’s Downtown Arts District to discuss the importance of owning your voice, the future of feminism, and how Apogee products empower her creative process. 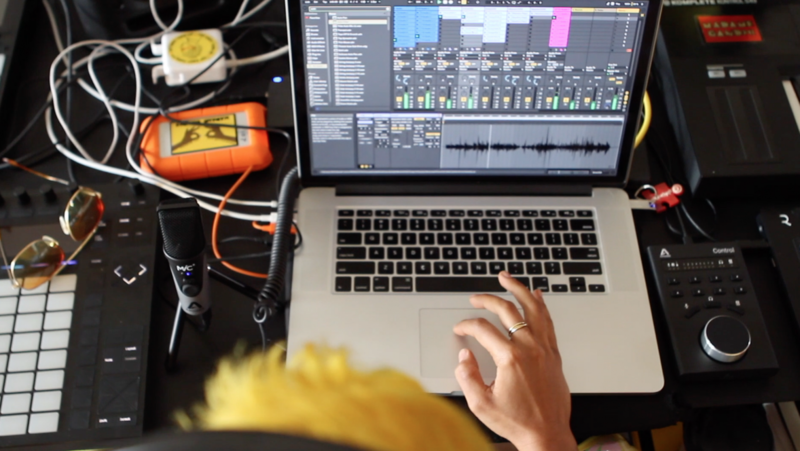 Madame Gandhi – Electronic Music Artist and Activist uses Apogee products to empower her creative process. Kiran performs as Madame Gandhi and is a dominant force for social change. She voices awareness for gender and economic inequality, the power of femininity, and speaking truth to negative stereotypes at every turn through her music and activism. The best part about Apogee is that it sounds amazing, it’s a no-brainer. We as musicians need products that are straightforward, powerful, good and easy to use. To me that was the whole thing with Apogee. I love the different products…the product line is important to different aspects of my studio and live setup. I have 3 different use cases for an audio interface which is why I use 3 different Apogee products. For my studio it’s the Element 88 because I have all my gear dialed in, it’s 8 inputs so I have a synth, 3 different Moog analog synths, guitar, 2 vocal mics…I don’t like the idea of having to keep unplugging and replugging. When I’m traveling and in my hotel room and want to record an idea after the show, or because I’ve met a musician on the road, using something like the MiC+ and Duet is a game changer. My advice is over time invest in multiple products because I’ve found when I unplug all my gear from my studio to go on the road it doesn’t get plugged back in for another 3 weeks so you lose motivation and inspiration. Investing in yourself and setting yourself up to succeed based on what you know you’ll be doing is the way to go and why I love Apogee. This concept of owning your voice has been so profound in my journey not only to be brave enough to say things that I think are honest and true…to show up for myself just as hard I show up for somebody else…but also own your voice in a musical sense. Sometimes in my life I would think I’m the most confident person but immediately know what it feels like to feel silenced, to be in a situation where I was in the minority and couldn’t say what was in my brain or my heart, or couldn’t say that the conversation I had made me feel good or made me feel safe. 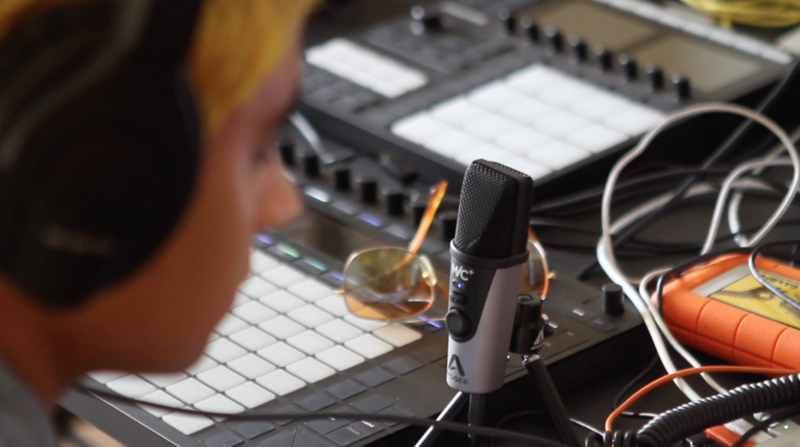 Kiran currently uses an Element 88, Control Remote, Duet, and MiC+ with plans to expand. 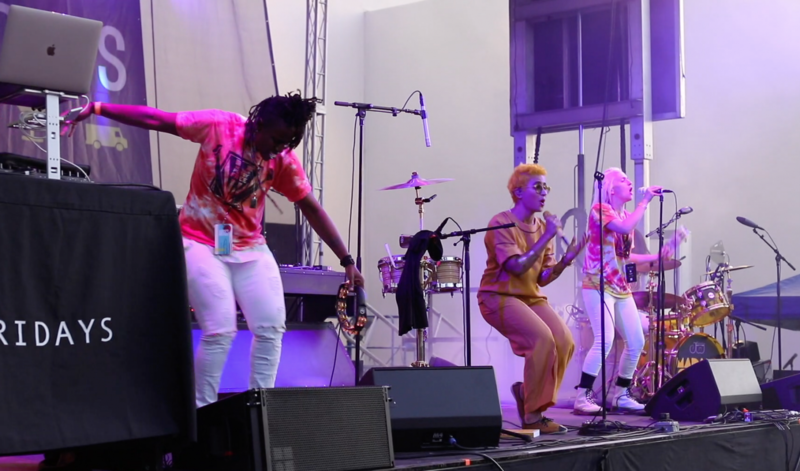 Check out her website: MadameGandhi.com and her new single ‘Top Knot Turn Up’!